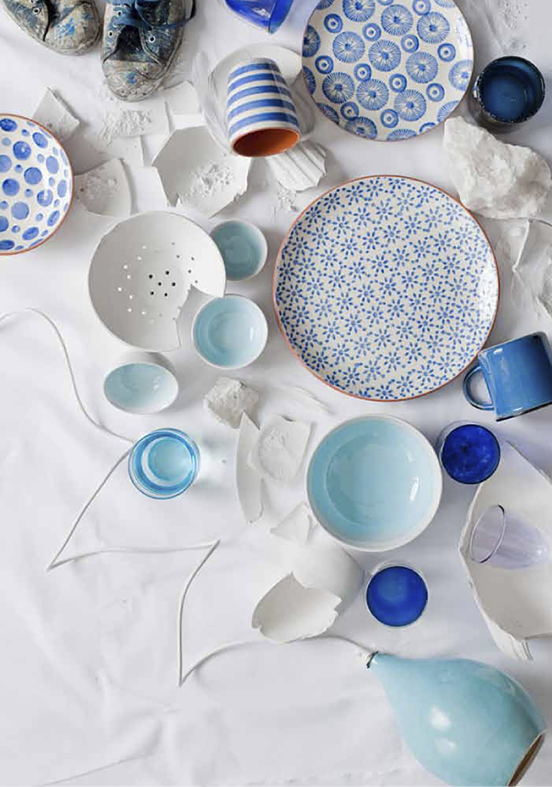 Hues of green and blue remain popular and i love the addition of spattered pieces and the hint of pink too – a great look when you have a collection of mismatched pieces. 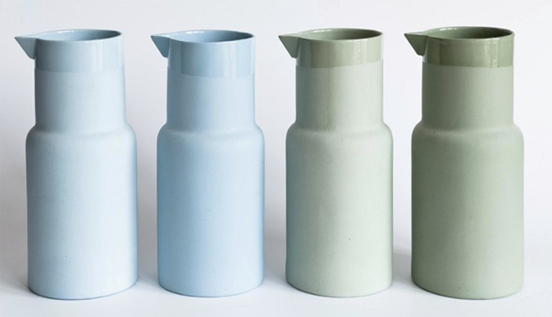 Muted greys remain popular which is no surprise since grey is the neutral practically nobody doesn’t like. 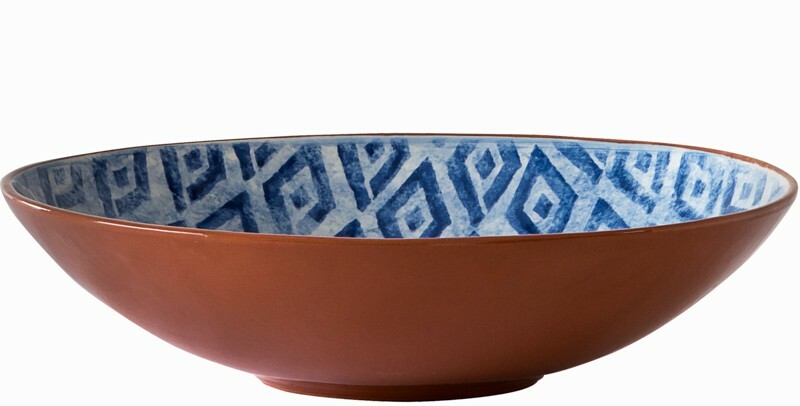 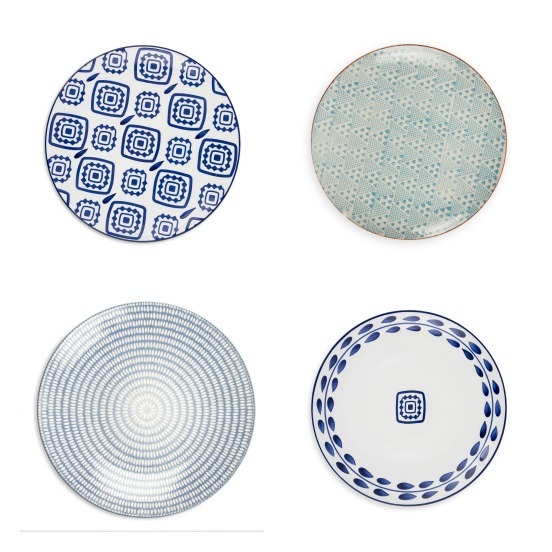 For similar looks to this, Wonki Ware is a great bet. 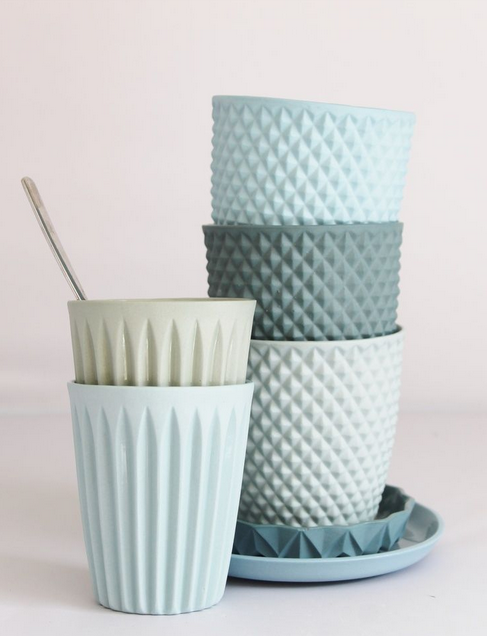 I am absolutely mad about these gorgeous pastel ceramics – the patterning combined with the colour choices makes for a really compelling collection. 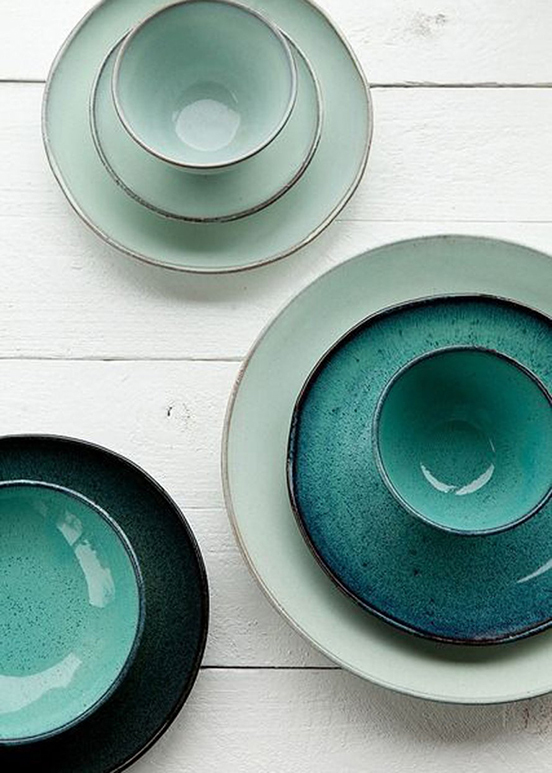 I’d love to own every single piece! 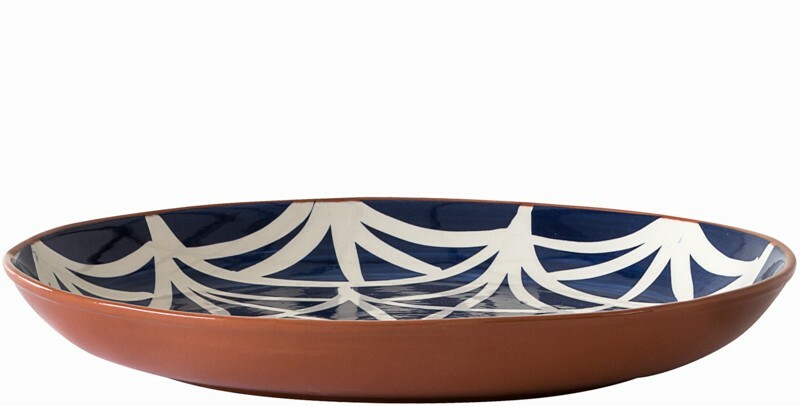 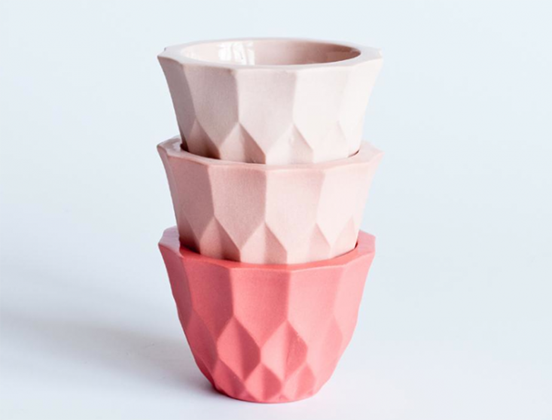 They’re by Dutch designer and ceramics creator Lenneke Wispelwey – aren’t they beautiful?! 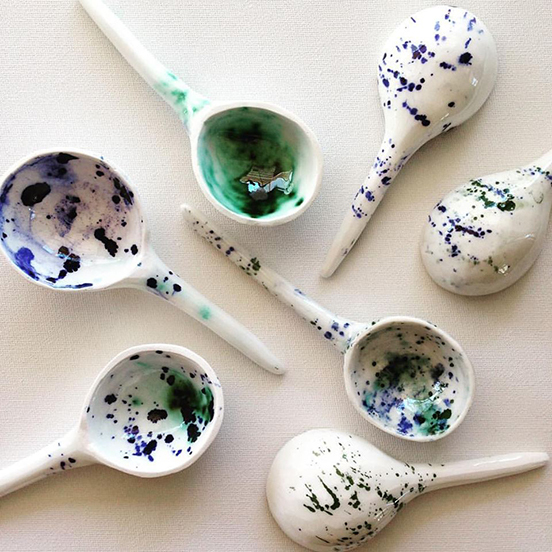 We’re so lucky in South Africa that we have so many talented ceramicists making beautiful tableware.These gorgeous spatter spoons are handmade by Marietjie Beeslaar or Skermunkel. 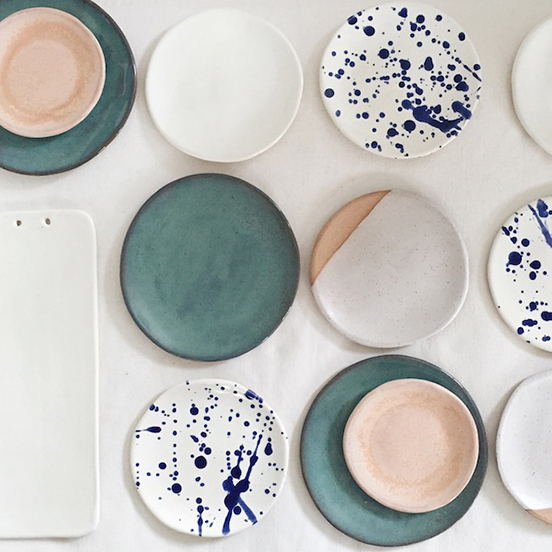 She’s both a jeweller and a ceramicist and i highly recommend a visit to her Palmer Road studio in Muizenberg to see her beautiful products. 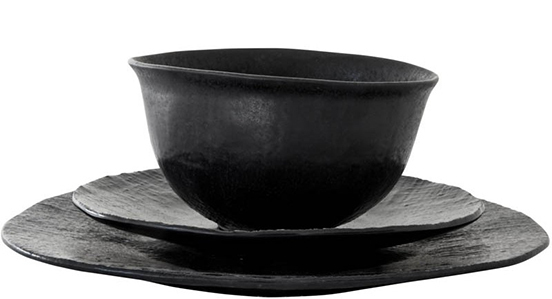 Black is big news for tableware and i’m not surprised – it’s so elegant and so luxe! 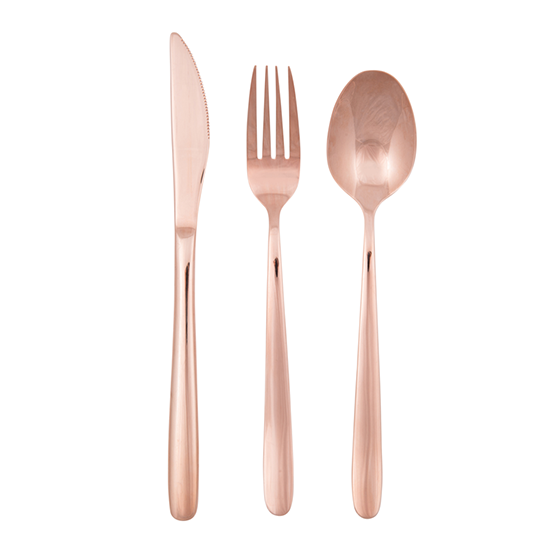 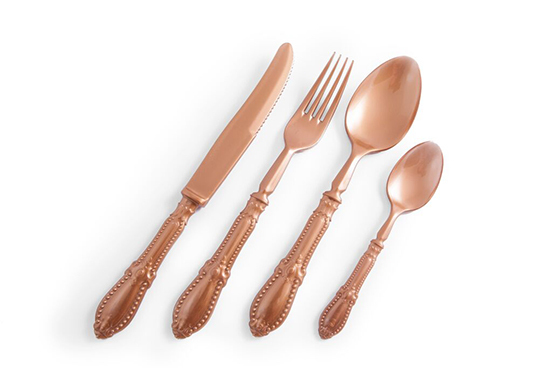 Add some gold or crystal and you have a really polished table setting! 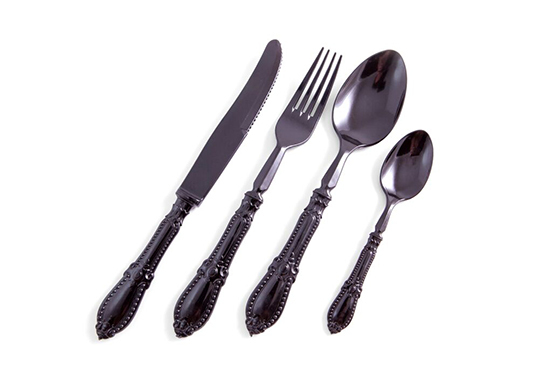 This black Antique Plastique cutlery is so cool, don’t you think? 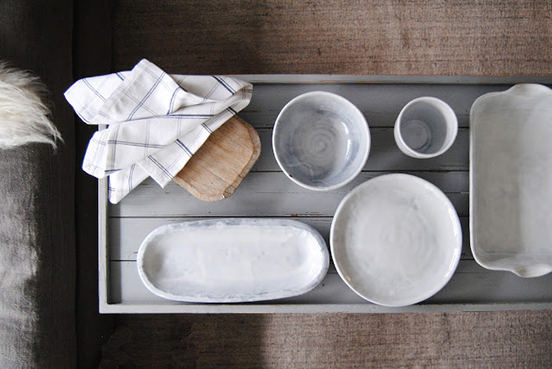 Great table decor – thank you.